One of the nation's foremost Lincoln scholars offers an authoritative consideration of the document that represents the most far-reaching accomplishment of our greatest president. No single official paper in American history changed the lives of as many Americans as Lincoln's Emancipation Proclamation. But no American document has been held up to greater suspicion. Its bland and lawyerlike language is unfavorably compared to the soaring eloquence of the Gettysburg Address and the Second Inaugural; its effectiveness in freeing the slaves has been dismissed as a legal illusion. And for some African-Americans the Proclamation raises doubts about Lincoln himself. 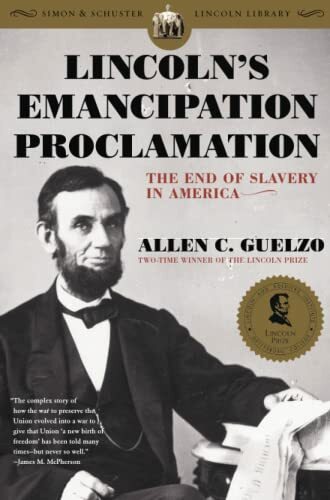 Lincoln's Emancipation Proclamation dispels the myths and mistakes surrounding the Emancipation Proclamation and skillfully reconstructs how America's greatest president wrote the greatest American proclamation of freedom.